Bob and Ted are travelling and the next article will appear over this weekend. The dollar rebounded after the FOMC rate announcement, having initially softened. The euro was pushed back to 1.4640 but rallied from there this morning to once again sail over the 1.47 price line, before settling around the 1.4680 price mark. While the FOMC statement was not greeted with euphoria by stock markets, the Fed did leave open the possibility of further rate cuts and this cannot be seen as dollar positive. An element of risk aversion overnight has helped support the dollar but the currency might struggle once the full impact of the statement seeps through. The euro on the other hand has lost a little conviction in recent days and Tuesday’s downbeat Zew Business Survey will not have helped. However in data released today, Industrial Production in the eurozone rose by twice the level forecast in October while employment for the 13 nations that make up the single currency rose by 0.3% in the third quarter. Outside of the Zew survey, Data has been largely positive this week for the euro. The currency pair remains hemmed into a range between 1.46 and 1.4770 and until one side or the other convincingly breaks outside this band, we could see the pair move back and forth. Coming to print we have just witnessed a whiplash move from 1.4670 to 1.4750 and back to 1.4680 within a half an hour as the market reacted to a report from the Fed that it is teaming up with other major Central Banks to help alleviate the liquidity crisis. The pair currently trade at 1.4686 and I’m inclined to stick to the same track as yesterday. Strategy: Buy euro on dips towards 1.46, with initial target prices of 1.4720 and 1.4740. If the pair moves above 1.4770 shift the target price to 1.4840. Markets are thinning and becoming more volatile the further into December we go and Stop losses are being eaten up by rapid market fluctuations, so ensure stop losses are strategically employed or else avoid the market altogether. Cable is going through one of those incredibly volatile periods right now and already today the pair has traded across a massive 2.25 cent price range. It rarely stays in the one direction for long and it is horrendously dangerous to trade for if you are using tight stop losses. I still prefer the downside and the pound’s rapid upside rallies of late are more to do with it being carried on the crest of a desperate-like carry wave which has reached lunatic proportions today, rather than any new-found fundamental strength behind the UK currency. UK employment is holding up well according to a report issued today and the jobless number fell by more than expected in November, although wage inflation was reported softer than expected which in essence means today’s employment report is not an obstacle for the Bank of England in deciding whether or not to cut interest rates again early in 2008. The euro quickly rose to 0.72 Tuesday having retreated back towards 0.7150 so we called that one right yesterday. Cable also fell from above 2.05 to our initial target of 2.0360. We recommend much of the same today although we move up our targets slightly from yesterday, to reflect the wider range the pair is trading in. Strategy: Sell cable on prices above or close to 2.05 with initial target of 2.0380, followed by 2.0330. Buy the euro on any dips towards 0.7150 with target of 0.7206. Sterling will also come under pressure against the yen and Swiss franc if stock markets shift into reverse gear, so keep an eye on Wall Street. The yen has taken a battering in the past few hours as risk tolerance levels have been energised by a recovery in stock markets and nobody appears willing to miss the party. The dollar had slipped to 110.50 Tuesday after Wall Street reacted badly to the Fed’s latest rate announcement, but since then the dollar has risen to 112.46 as the silly season well and truly lands on the currency markets. To be fair, a rate cut was never going to prove to be a positive for the Japanese currency because it was sure to attract plenty of buying interest for the high-yielding currencies, with the yen preferred as the funding currency. Last night can be called a reactionary blip which triggered a sudden bout of risk aversion and gave the yen a monetary lift, which when we scrutinise it, was always only going to be like a temporary loan. The fundamentals have not changed though and the rather gloomy outlook for the US and global economies is the same, so it is only a matter of time before risk tolerance levels abate once again and the yen comes into its own. The US dollar may reach Y113.50 in the short-term but it will surely struggle beyond this level and the euro does not offer any value above Y165. Japan’s current account remains in a healthy state and October’s surplus showed an improvement of almost 50% on the same month last year. The longer run trend for USD/JPY is down but because of the interest cost in holding the yen long-term, it is not worth entering the market until we are sure the current correction upwards is complete. But there is good value in entering the market short-term during bouts of heightened risk aversion like we saw yesterday. This requires close monitoring of stock markets so it is fruitless to offer a direct strategy here. USD/CAD is one of the few currency pairs which had shown a degree of stability over the past 24 hours and the pair’s price is virtually unchanged from the one it was trading at this time Tuesday. The US dollar firmly held its lines yesterday and today and the loonie may now be quickly running out of attempts to reclaim the coveted parity handle. Canada’s Trade Balance for October was slightly better than expected but the worrying fact from the report is that exports again fell during the month, this time by 0.5%. In fact the only reason the trade surplus increased at all is because imports fell by 2% during the same period, which in itself is hardly encouraging because it points to reduced consumption within the domestic economy. 1.0214 is the key barrier to the upside, but with resurgent oil prices offering temporary support, the loonie should be able to protect that level in the short run. Friday’s manufacturing and productivity data, if it prints on the soft side, could be a risk for the loonie. Strategy: Short-term - Buy USD/CAD on any dips to around 1.0050 with upside price targets of 1.0120 and 1.0160. Shift upside targets to 1.0220, if 1.0160 is convincingly broken. Long-term – Hold USD/CAD long positions with S/L at 0.9760 and target price of 1.05. Has the Fed lost the plot? If one was to judge the reaction on Wall Street, where the major averages plunged by more than 2% each Wednesday, it would seem so. But then perhaps it is greedy investors and those TV pundits that beam from our screens who have essentially lost the plot and maybe the Fed is merely doing its job and trying to keep us all on the straight and narrow? A 50 basis points cut on the Fed Funds rate was never on the cards yesterday and although one Fed member believed it appropriate (Eric Rosengren voted for a 0.5% cut in the Fed Funds rate), the fact any cut was delivered at all demonstrated the Fed had essentially completed a 360 degree about-turn in the past 2 weeks. If the Fed is to be criticised one can point to the lack of creativity in not doing more with the discount rate. A 50 basis point cut in the discount rate would surely have helped ease the tightening which has intensified in recent weeks in credit markets. The fact the Fed came out late last night with a statement indicating it is prepared to do more to ease the liquidity problem is an admission of maybe not having done enough earlier and rather than help, it undermines the Fed’s credibility. The Fed however could not have done more with the Fed Funds rate and one has to remember the benchmark rate has now fallen 1% in the past 3 months, something few would have envisioned back in September. The Fed’s December statement was more neutral than the October statement, but still places emphasis on inflation ‘Readings on core inflation have improved modestly this year, but elevated energy and commodity prices, among other factors, may put upward pressure on inflation. In this context, the Committee judges that some inflation risks remain, and it will continue to monitor inflation developments carefully.” Many of our less-initiated TV-pundit friends baulked at this sentence, believing the Fed should instead have told the market the door was left open for more aggressive rate cuts and eh…surging stock prices. What these pundits forget, or rather choose to ignore, is that US headline inflation which was running at 3.5% in October is expected to print at over 4% in November when the data is released this Friday. US core inflation is going to rise early next year, possibly sharply, and indeed were the Fed to have followed the example of the ECB, there would not only be no rate cuts, but no prospect of any, while inflation is such a significant threat, even if this may compromise growth prospects. The problem for the Fed is the Committee allows itself to be bullied by financial markets moreover any other major Central Bank and rather than allow Wall Street taste the downside reality of an economic cycle, the Fed rides in and attempts to put off the inevitable. This rather doomed strategy will soon see the Fed run out of basis points and it could mean the Fed pushes the US economy into a sustained period of stagflation, from believe it or not, as early as the first quarter of 2008 (are we to take headline inflation as the measure we might be there already). So in many senses the Fed could certainly not have gone further on the Fed Funds rate and there is a very strong inflation argument to say they should not have moved at all Tuesday. We have to remember the last print of US growth was the whopping 4.9% recorded in quarter 3. The latest inflation figure will be released this Friday with a strong possibility the headline number will print above 4% while the core number may tick up from 2.2%. Core inflation is going to rise early next year because the year on year comparisons will no longer prove favourable for the measure. Growth is expected to slow to 2.5% in quarter 4 and may even slow further in quarter one of 2008. The Fed is walking on eggshells and there will be a lot of hard thinking for FOMC members between now and the end of January, when the Committee is scheduled to meet again. Trading is tentative Tuesday ahead of the FOMC rate announcement with traders unsure of direction. The euro rose to 1.4742 early this morning only to decline to 1.4656, on the back of another disappointing ZEW business survey out of the euro zone. The German think tank’s expectations index for December dropped to minus 37.2 from minus 32.5 a month previous. The current conditions index also fell, to 63.5 from 70.0 in November, meaning German businesses are more pessimistic both about current activity and about the growth outlook for 2008. The euro has grown adept at shaking off poor economic data of late and with ECB council members issuing more hawkish rhetoric Monday, the euro is likely to be well bid on any further dips. We could witness significant volatility immediately after the Fed statement is released this evening and with a 0.25% cut already fully priced in, direction will likely be determined by the content of the Fed’s statement. A 0.25% cut accompanied by cautious language underlying upside risks to inflation would support the dollar, while a 0.25% cut with a shift in bias towards policy easing would tend to damage the dollar, as this would worsen the dollar’s rate differential outlook against other major currencies for the coming quarter. If the Fed decides to be aggressive and cuts the Fed funds rate by 0.5% like it did back in October, the dollar will probably sink. It could take 30 to 60 minutes for the true impact to be established and any traders entering the market and trading the news immediately after the release are playing with fire. I expect to see the euro recover today’s losses and appreciate ahead of the announcement, but what happens thereafter is anyone’s guess. Strategy: Buy euro on any dips towards 1.4650 prior to the announcement and exit the market before the FOMC release. We will analyse the statement tomorrow and see what it means for the dollar going forward. Cable has rallied for a fourth consecutive day Tuesday and the pound is currently trading around the 2.05 price level. Sterling is essentially trading well above its station and the currency is getting a false lift on the back of a resurgent carry trade, back in vogue thanks to expectations for a Fed interest rate cut today. The pound has risen against every major currency today, rising 0.5% against the euro, 0.26% against the dollar, 0.36% against the yen and 0.86% against the Swiss franc. 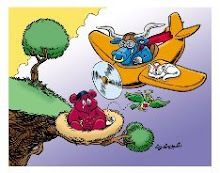 The party may well end this evening, particularly if the Fed’s statement fails to rally stock markets, at which time the aggressive run-up in carry trades over the past number of days will begin to unwind. The UK trade deficit in October narrowed to £7.1B from a record £8.0B in September, but this is hardly a reason for celebration through rapid sterling appreciation and once today’s much heralded Fed event is out of the way, markets will again examine sterling with close scrutiny and with a sharp slowdown forecast for the UK economy in 2008, it is difficult to see sterling not coming under pressure in the coming days. It is conceivable cable could run up to over 2.06 later today if the Fed delivers more than what the market has priced in, but even if this is the case, cable should begin to retrace its gains later this week. Positional players may well see any price over 2.05 as an incentive to enter the market and go short, even if they have to sit it out and wait for the pair to top out before tumbling again. Strategy: short-run traders should maybe focus on EUR/GBP, buying dips to around 0.7150 with a target price of 0.72. Cable is worth selling on prices above 2.05 with downside price targets of 2.0370 and 2.0310, but this has the added risk of the Fed statement later Tuesday. The yen continues its retreat Tuesday as carry traders targeted the currency to bump up positions on high yielding currencies like cable and the Aussie and New Zealand dollars, ahead of an expected rate cut from the Fed later today. The dollar rose to over 112 against the yen for the first time in a month but has struggled to stay there while the euro has changed little against the Japanese currency as it too retreated early Tuesday. Japanese consumer sentiment dipped further in November, but the currency’s decline has more to do with a rise in risk tolerance than any adverse impact of domestic economic data. If the Fed is aggressive and cuts rates by 0.5% today or shifts its policy bias towards monetary easing, we could witness a stock market rally for the next few days and the yen will decline further. The currency will be able to regain ground once the current bout of market euphoria comes to an end and that could even happen as early as this evening, if the Fed statement falls short of market expectations. It is too difficult to make a call on yen direction, with uncertainty large ahead of the Fed statement, so the best course of action could be to avoid the yen until we have had time to analyse this evening’s statement and gauge the reaction of equity markets. A sharp retreat in equities will see the yen appreciate just as sharply. Strategy: Await Fed announcement and avoid the yen for the moment. The loonie has remained trapped within a 1.00 to 1.0140 price range against the dollar ever since last Friday’s Canadian employment report. The loonie has been unable to make a real impression and the US dollar is being bought against it on any dips towards the parity line. We could see the loonie strengthen a bit immediately ahead of the Fed announcement as nerves creep in and any subsequent negative statement for the US dollar could see parity broken for the first time since the Bank of Canada announced its rate cut last Tuesday. However, if the Fed cuts by 0.25% and remains cautious on inflation, US dollar bulls may well return to the market en masse and the greenback could once again advance to the 1.02 line. I’m inclined to not enter the market today, given the potential risks to the greenback (I’m a bull on USD/CAD) and any traders with an intra-day bid on USD/CAD are advised to get out at the best possible price before this evening, and not to risk their profits. Longer run I continue to be long on USD/CAD and maintain a price target of 1.05 with a S/L of 0.9760. Strategy: Intra-day, do not enter the market until after having had a chance to assess the immediate significance of the Fed Statement. The Fed is widely expected to deliver a 25 basis points cut when the FOMC releases its latest monetary policy statement Tuesday evening (19:15 GMT). There seems little doubt a cut is in the offing, with some analysts even predicting an aggressive 50 basis points easing, although the chances of a cut of this magnitude appear to be dwindling. The minutes of the last FOMC meeting that were released on November 20th appeared to rule out a further cut this year as we were told the cut on October 31st was a ‘close call.’ In the past two weeks we have witnessed an about-turn with Fed Chairman Ben Bernanke and his deputy Donald Koln issuing very dovish statements, effectively turning the minutes of the October meeting on their head and signalling to markets the Fed was ready to ease again. Since that October meeting economic data has been at best mixed, but there have been further significant write-downs from banks and financial institutions over the subprime crisis and credit conditions have tightened. Inflation meanwhile has moved steadily upwards with the headline inflation rate reaching 3.5% in October and expected to print over 4% in November when the data is released next Friday. There is little doubt that if the subprime fiasco was not having such an adverse affect on market credit conditions, the Fed would not be about to cut rates this week. There may well be considerable unease within the FOMC to have to cut rates at all because as we close out 2007, we move into a new period where the year on year inflation rate can easily tick up a notch or two (US core consumer price inflation eased progressively early in 2007 and as we move into 2008, the year over year comparisons may gradually show a marked deterioration in the core inflation rate). The Fed’s greatest headache is tightening in credit markets and a creative FOMC might choose to customise a solution Tuesday which focuses on the Fed’s discount overnight rate. The discount rate is the rate the bank offers to major lending institutions but is not commonly used at present because of the stigma attached with going to the Fed for borrowings. The FOMC could possibly vote to reduce the discount rate by 0.5% tomorrow, bringing the discount rate down to 4.5%, while at the same time reducing the Fed Funds rate by 0.25% to 4.25%. The logic is that if the discount rate is lowered substantially, more banks will be enticed to come to the Fed’s discount window, rather than paying higher rates through lending from other financial institutions. Last Friday’s payroll report revealed that while growth continues to slow, the labour market is healthy and unemployment at 4.7% remains at a historically low level. An aggressive 50 basis point cut Tuesday could send all the wrong signals about the US economy and indeed help make a recession a self-fulfilling prophecy. Many FOMC members will feel they have been railroaded into a further cut by Messrs Bernanke and Koln and are most unlikely to vote for anything more than a 0.25% reduction in the Fed Funds rate. The statement Tuesday needs to be read very closely 1) to see if the policy decision was unanimous and 2) to see if the Fed shifts from the rather neutral stance of the last statement to a more dovish line this time round. Forecast: 0.25% cut in the Fed funds rate and a 0.50% cut in the discount rate. The dollar will probably fall in the period immediately after the announcement, but should soon rebound, unless the FOMC is seen to have shifted aggressively towards the easing side in its statement, or if the FOMC surprises and chooses to cut the Fed Funds rate by 0.50%. The euro has made a significant rally Monday, taking almost 0.8 cents off the dollar, now trading at 1.4720. Although markets may be discounting a 50 basis points cut by the Fed Tuesday, the longer-run rate outlook for the dollar sees it at a big disadvantage against the euro, so the greenback is coming under further pressure ahead of tomorrow’s key FOMC meeting. Euro area economic data Monday was mostly positive with the German trade balance printing at €18.1B for October, over €1.1B higher than forecast. French Industrial production also soared in October, rising a massive 2.1% on the month against a forecast increase of just 0.4%. The impact of a stronger euro has certainly not deterred the industrial powerhouses of France and Germany and today’s results have helped push the euro higher. Friday’s payroll data from the US, while marginally better than anticipated, nonetheless signals a slowdown in the labour sector and simply gives the Fed breathing space to continue to cut rates. I personally would not rule out a 50 basis point cut by the Fed Tuesday, because this particular FOMC has become more unpredictable, inflation has more or less been abandoned as a principal Fed concern and there is most definitely a Bernanke put to appease US financial markets. While we might not agree entirely with the ECB’s ultra hawkish stance, we can at least say the ECB is consistent and monetary policy is most definitely not dictated by financial markets, as is currently the case in the US. Expect the dollar to remain under pressure against the euro in the build-up to Tuesday’s meeting and any break above 1.4770 will be significant, because it could trigger a temporary move closer to 1.49. We also need to be cautious, because we saw last week that both sterling and the Canadian dollar actually appreciated in value in the days after the respective Central Banks announced rate cuts and expectations of a rate cut in either of those jurisdictions was put at less than 50%. Markets have priced in a 100% chance of a Fed cut tomorrow, but this being a 0.25% cut. I prefer to buy the euro on dips back towards 1.4650, with upside targets of 1.4730, 1.4770 and 1.4840. Cable has lost the run of itself Monday, rising sharply to a high of 2.0467, up over 1.5 cents on the day. Considering cable languished below 2.02 immediately following last Thursday’s Bank of England rate cut, it is quite a remarkable feat. The currency moved before today’s producer prices report, a report which although signalling higher than expected inflation at the factory gates, is hardly going to alter Bank of England monetary policy, which shifted to the easing side last week. House prices for October, in a separate report released by the department of local government today, grew to an annualised 11.3% in October from 10.8% in September and this also helped to support the pound. Cable offers no bid value on prices above 2.05 and even 2.0450, even if the market is nervous ahead of Tuesday’s FOMC meeting. The euro also slipped to 0.7180 against the pound Monday but has since recovered towards 0.72. Sharp sterling gains are likely to be continued to be met by sharp sterling sell-offs because the outlook for the UK economy is uncertain at best and with the Bank of England having joined the Fed in policy easing, positional traders will be looking beyond the UK currency. On Tuesday we have October’s trade balance and if we see another record deficit, sterling will sell down. Trading will continue to be thin ahead of the Fed and some currency moves will be exaggerated, including sterling’s. Strategy: Wait until after Fed meeting on Tuesday. Do not buy sterling at present levels. The yen remains under pressure Monday as the prospect of a US rate cut on Tuesday has seen risk tolerance levels rise and a resurgence in the carry trade, with the yen being used as the preferred funding currency. The yen is only down fractionally against the US dollar, but is down 0.5% against the euro and 0.75 against sterling. It is down almost 1% against the Aussie dollar. With stock markets up today and likely to continue their rally if the Fed cuts rates tomorrow, the yen may be sold off further and we could potentially see the dollar rise to Y113 and the euro to over Y166 by tomorrow evening. In economic news, data released overnight showed Japan’s machinery orders surged by more than 12% in October, but against this the closely monitored economy watchers survey revealed that ordinary Japanese workers were not very enthusiastic about either current economic conditions or about the country’s economic outlook during November. Strategy: Don’t trade the yen until after the Fed decision, when markets have settled again. The loonie weakened moderately Monday against the greenback but the pair has remained firmly inside the 1.00 to 1.01 trading band ever since Friday’s employment report. The loonie strengthened down close to the parity line again Monday but was unable to break through and the dollar has since advanced to 1.0080. Housing Starts in Canada rose to a 227.9K rate in November, up 0.1% from October but this was largely in line with forecasts and had no market impact. While base metal prices have fallen, oil is up over $1 a barrel and this should offer some short-term protection to the Canadian currency. Overall I expect the uptrend to continue, but we may continue in a period of consolidation until after the Fed rate decision Tuesday. The loonie has come off quite sharply against the euro Monday, losing over 1 cent, with the euro up to CAD1.4750. Strategy: Buy USD/CAD on dips towards 1.00 with limit targets of 1.0090 and 1.0135. Longer run bid positions should be retained with S/L at 0.9750 and target of 1.05. The loonie may appreciate against the dollar in the lead up to tomorrow’s Fed announcement, so anyone who is has entered long today on USD/CAD need to time their exit.